Waterworld is not a multi award winning water park by chance. We try hard to provide the best quality services and entertainment to all our guests. And we know that after countless hours of fun you will need to have a break and a snack or a drink. 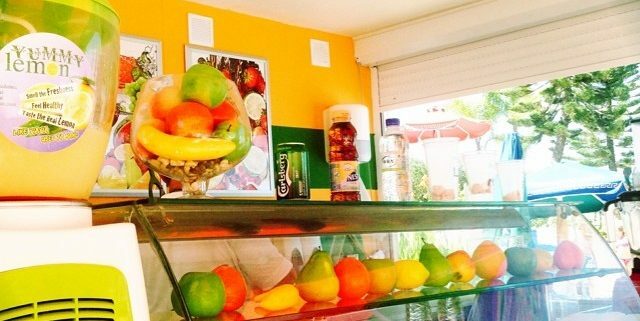 We also work very hard to provide our guests a variety of tastes and choices during their break. Below you will find a list of what is available in the park. 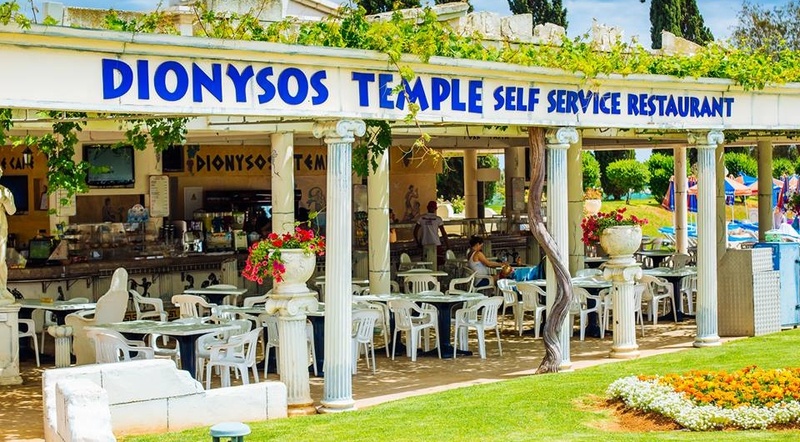 DIONYSOS TEMPLE RESTAURANT: A self service restaurant this is the main eatery in the park with maximum seating capacity of 350 persons. 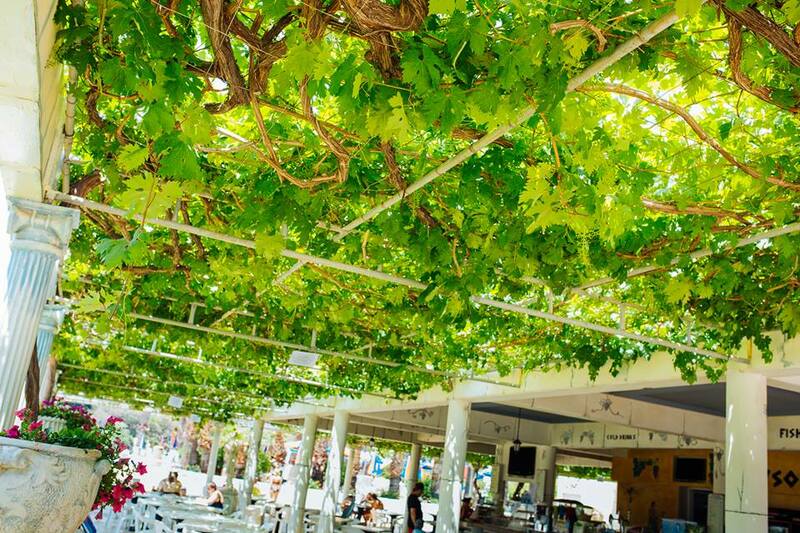 Dionysos Temple Restaurant caters for all taste from pastries and salads to local specialties all freshly made in the Dionysos Kitchen. 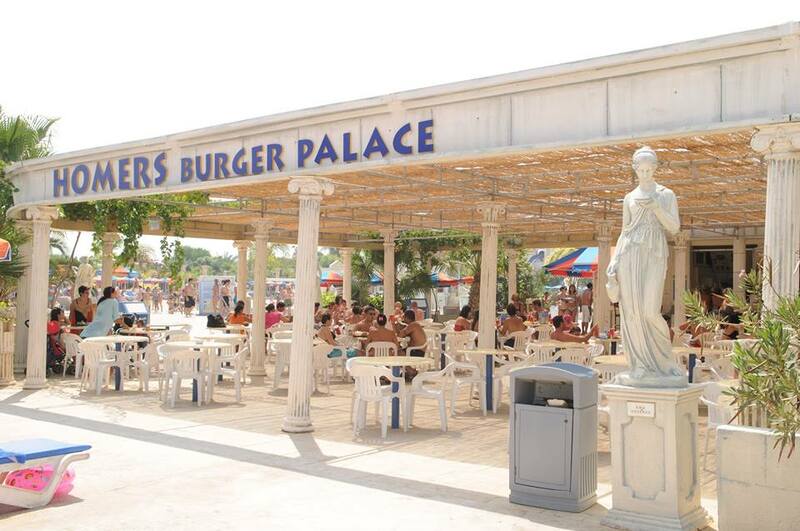 HOMER’S BURGER PALACE: A fast food restaurant with seating for over 200 people. There is a large themed menu for guests to choose from. The kitchens are well ventilated and have all mod-cons. MINOTAUR’S PIZZA: Located in Minotaurs Labyrinth play area, this is a cozy pizza outlet with a small seating area. The pizzas served are cooked from frozen with state of the art conveyor belt technology. 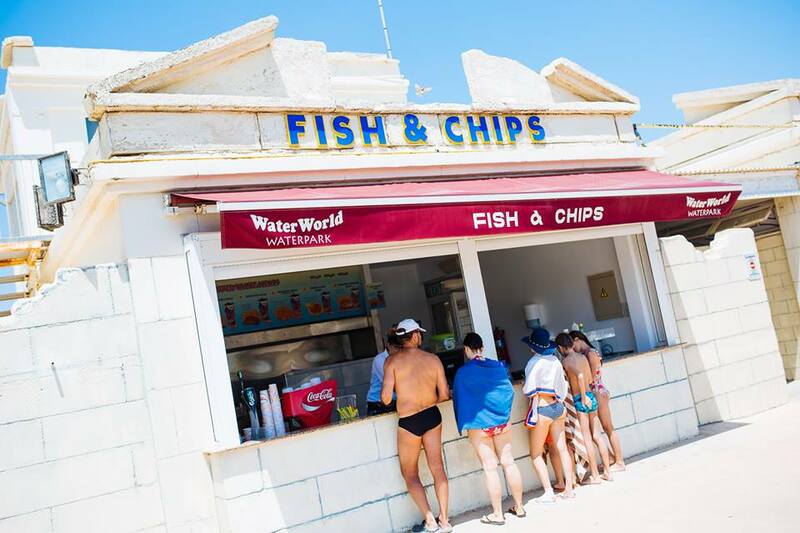 SIRENS FISH & CHIPS: Serves the best authentic English style Fish & Chips in Cyprus served from a unique pool side location. 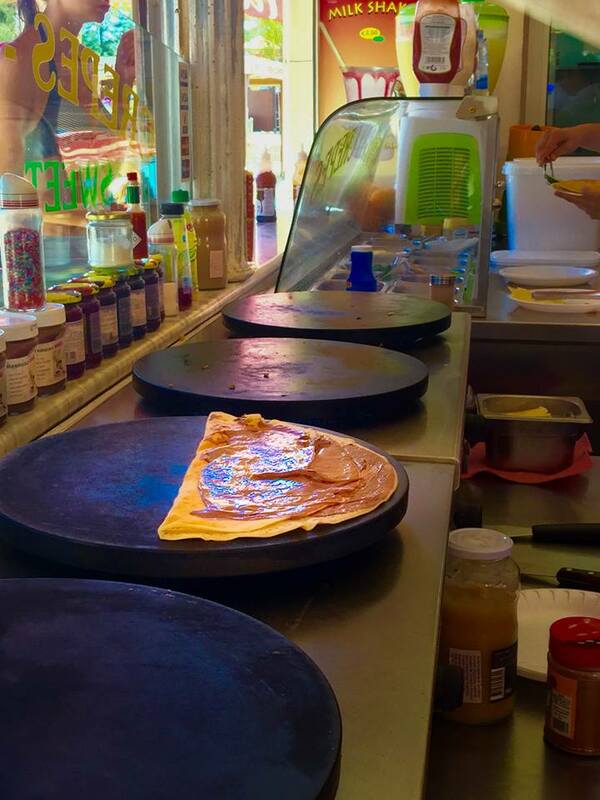 POSEIDON’S CREPERIE: Serving a delicious, mouth-watering range of sweet and savory crepes, the customers can make a choice from the appetizing variety on offer and watch as they are prepared and cooked right in front of them. MINI DONUTS: A wonderful treat! Grab them piping hot, served in a tray with manycreative toppings to choose from: dash of cinnamon, sugar or you can enjoy the donuts with a flavorful dip such as; chocolate souce, Nutella, strawberry or caramel. 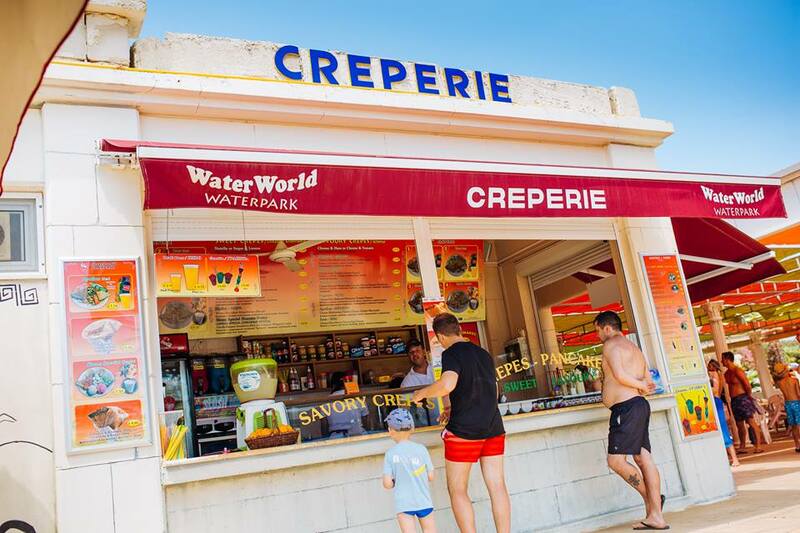 ICE-CREAM: Visitors can enjoy a variety of tasty ice creams, smoothies and delicious donuts.